Marie- fake, I'm allergic to real ones. but cannot so fake it is. Marie- always home, traveled in the afternoon. Jenn- White lights are not Christmas lights! I hate them and go crazy when I see them. So, yeah, colored lights it is. Marie- always but last year I didn't do them. Movie. That was a huge hit with people. Marie- It's a tie between a trip to Spain and a new car. listening to the NKOTB Christmas album. to Jenn for Christmas and her (our) Birthday. Our Birthday is three days after Christmas. I have given in my lifetime?? when I was a little girl. It's on the small side but I love it. Jenn-STOCKINGS! Best part of Christmas. get some for this year. Marie picks them out for us. and spending the night with my family. Jenn-spending time with my family. Marie-a little bit of both!! Jenn- a little bit of both!! Marie-I don't really have one. Marie-Caramel Brule Latte from Starbucks. out the truth!! Christmas has never been the same. ate some of our Frosty the snowman ice cream cake!! cakes, we would be very happy. Now it's your turn, tell us your holiday traditions!! Comment below with your answers. My mom is semi allergic to real Christmas trees too. I love how on somethings you two are so opposite but on this one you're almost identical the entire way through. You two are the BEST I tell ya! Love that you have sis a trip and yes, hope your mom does it up good you December dynamite and festive birthday gals. Ooh a trip to London and Paris! I'd like that gift. LOL I love giving people gifts - that's a big part of Christmas for me. It's fun to try and think of just the right gift. I love that Santa would leave you guys a note- so cute! Frosted sugar cookies are definitely some of my favorite too- nothing is more festive! NKOTB cmas album is the best. That's a fact. THanks for linking up! 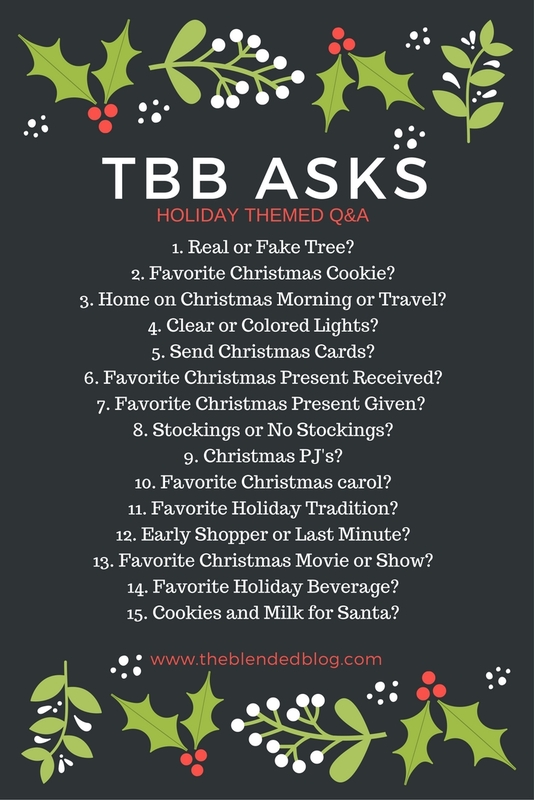 So many fun Christmas questions! I am allergic to the real Christmas trees as well. My husband asks every year for a real tree, but it is just awful having it in the house when you are allergic! And yes to Christmas PJs! LOVE this! How fun! I sort of miss real trees but love being able to put them up super early when they're fake! Aww I love white lights and actually really dont like coloured lights (esp the ones with blue which is not a christmas colour). I love reading the differences between you guys. And I love how your twin loves a Christmas Story like me!!! 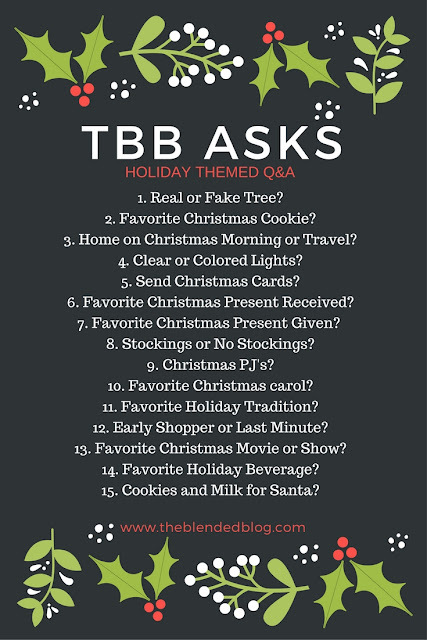 I love how similar some of your answers are like the colored lights and having stockings! And a trip to Europe definitely sounds like a great Christmas present! I had a caramel brulee latte this morning on my way in! The best! I am a huge fan of my moms frosted sugar cookies too. Sometimes the basics are the best, you know? I want to start a tradition with Christmas jammies for our family, I think it would be so fun. Loved seeing both of your answers!